Home » Video Games » Transformers Earth Wars – New Character Details! Transformers Earth Wars – New Character Details! The fine folks at Transformers Earth Wars have sent through some information about new combiners available in game! 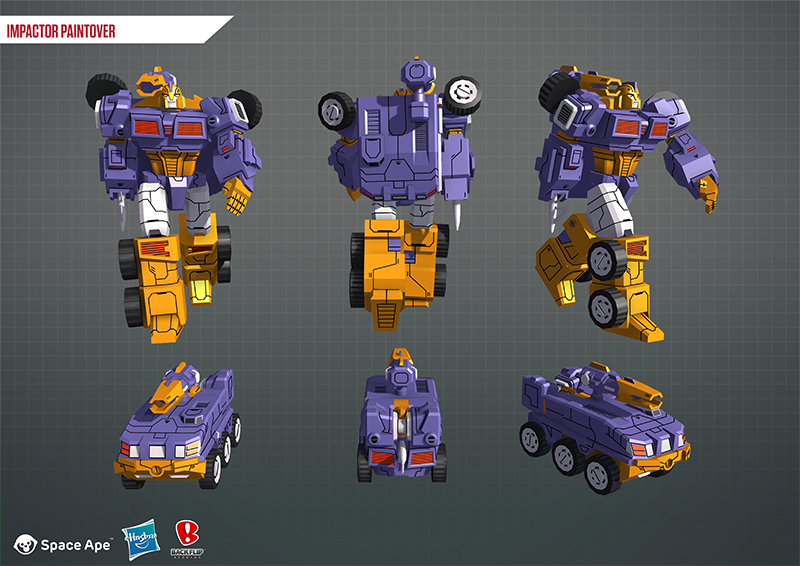 They’ve split this across several fan sites, and our info is below for Menasor! Deal heavy damage and disable enemies over a large area while losing 20% of your max Health. If this ability kills you, disable the enemy base for 10 seconds. Transformers Earth Wars is a mobile first game and is free to play! You can jump into the action by downloading from your app store of choice here. Are there any rumors about Ramjet's addition to regular crystals? I already have 24k 3* shards for that moment. Octane & Sandstorm have been added today to free, premium, 2*, 3* and 4* crystals. new cores and Impactor delayed again until next week at the earliest. but they are announcing the next (#5) 5* batch next week. I'm not good at keeping crystals say it's a joke. well i have 5 teams in zone 12 team A is nearly ready for winning all the time so i might soon have a zone 13 team, but i also have 5 more teams in zone 11, two autobot teams one zone 12 and 1 zone 9. Even though I don't have any of the 'Cons in the bundle in 3*s, I am skipping the bundle because I am focusing on leveling up some 'Cons that I already have. Are the crystal bundles worth it? I feel like I'm a bit behind everyone cause I don't throw money at the game. The best way to catch up is to join a good active alliance that completes all events, and to have a good levelling strategy. Nothing can substitute grinding. WEEKEND EVENT – THE LAST BLAST | Take part in the Alliance Totaliser this weekend for a chance to win Gold, Silver and Bronze Cores, and Final Spark Crystals – each up to 100,000 Spark! Hmm, well I guess it kind of ish fits his IDW character. I dunno, happy to have a bit of new characterisation, but I really don’t think of Impactor as fighting for the Cons under any circumstances. Prosecuted for going too far? Sure. But not going full Con. They should have made it Punch/Counter Punch imo. You could always think of him joining with the decepticons who have strayed from the core decepticon group. That's what the original Wreckers did, and it's what Impactor basically did in IDW. So we're getting a 5* Snarl. I am liking Impactor's ability. A mobile laser turret that attracts defenses AND can boost damage output. (in Wayne's voice) YES, PLEASE! Now which core to use with him, Vitality, Rejuvenate or Attack? I hope that faction-agnostic means we see Doubledealer in the game. 'He went too far,' was how the tribunal put it, after Impactor brutally suppressed a scavenger attack on the colony world of Velocitron. But Impactor was unapologetic, accusing his accusers of not being willing to do what needs to be done. He left before the verdict, and now plies the trade of a mercenary – fighting wars without boundaries. Dual faction? Do you mean Impactor could fight for the Cons as well?? 5* Shard event this weekend… new poll for the next "player's choice" 5* bot… and a second dual-faction bot coming next: Impactor. Impactor loaded for bear. I really hope his SA is good. I will be disappointed if it is not. I'm more of a fan of his Last Stand look.